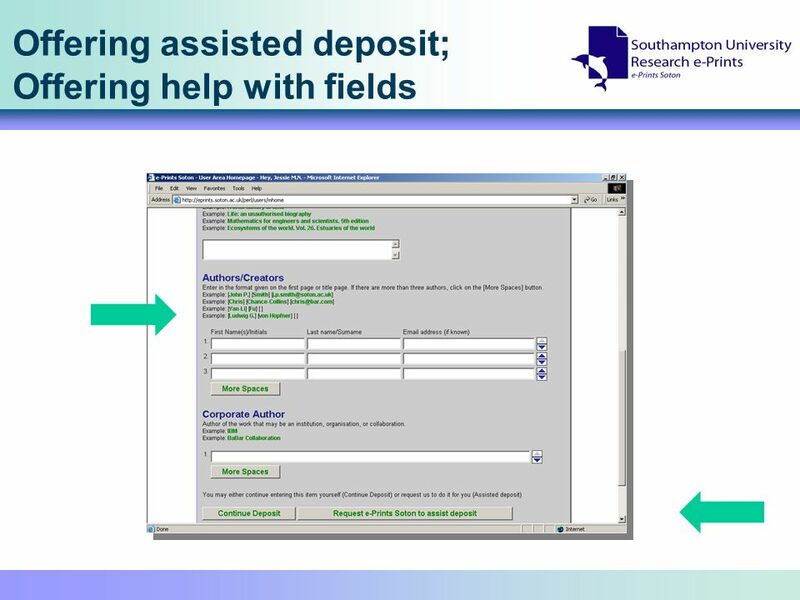 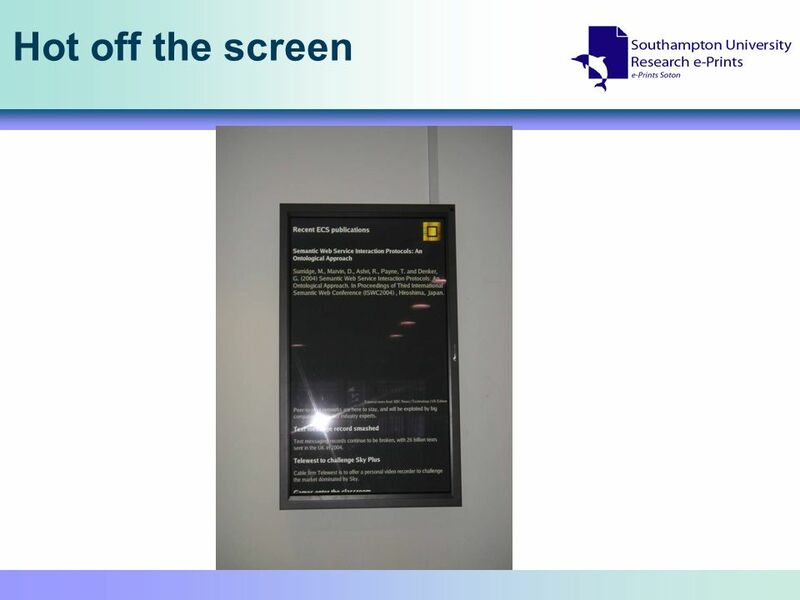 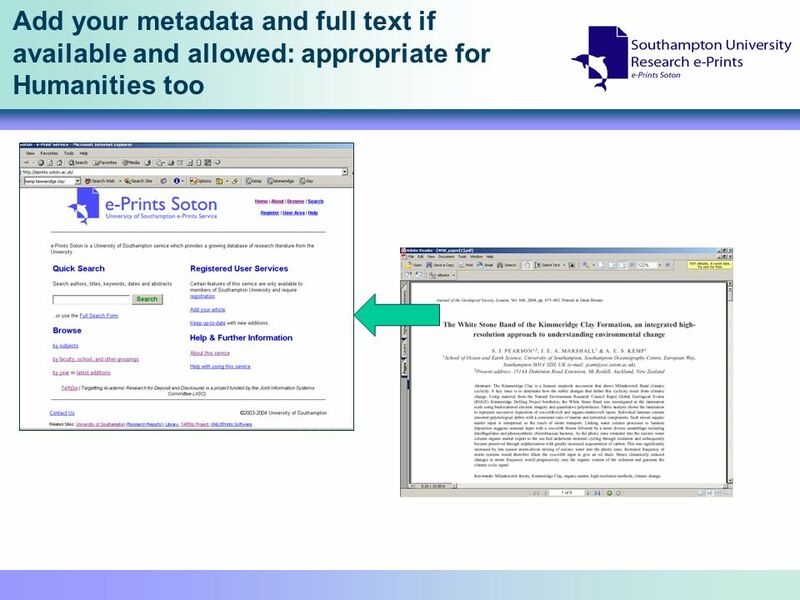 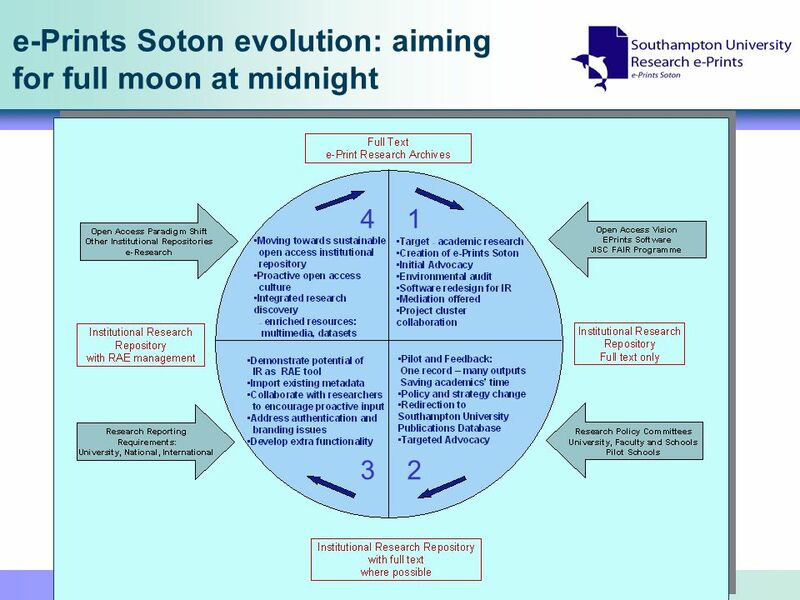 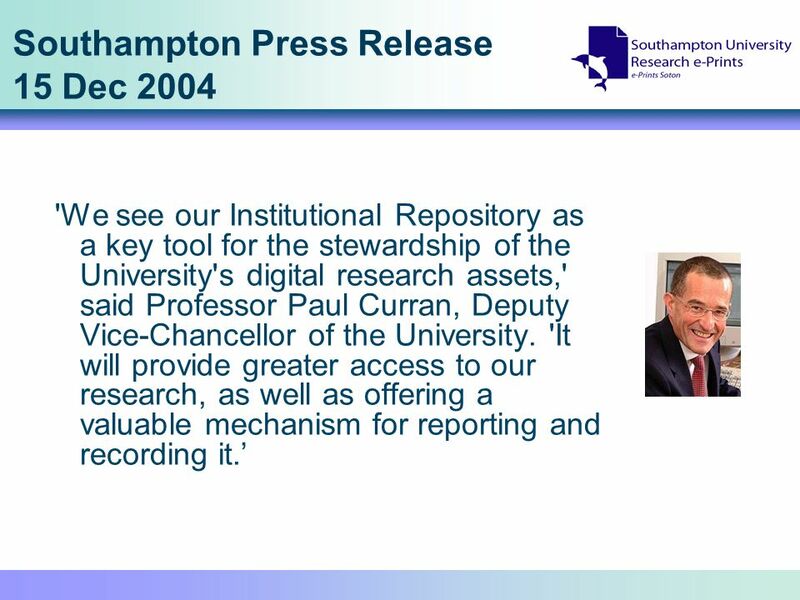 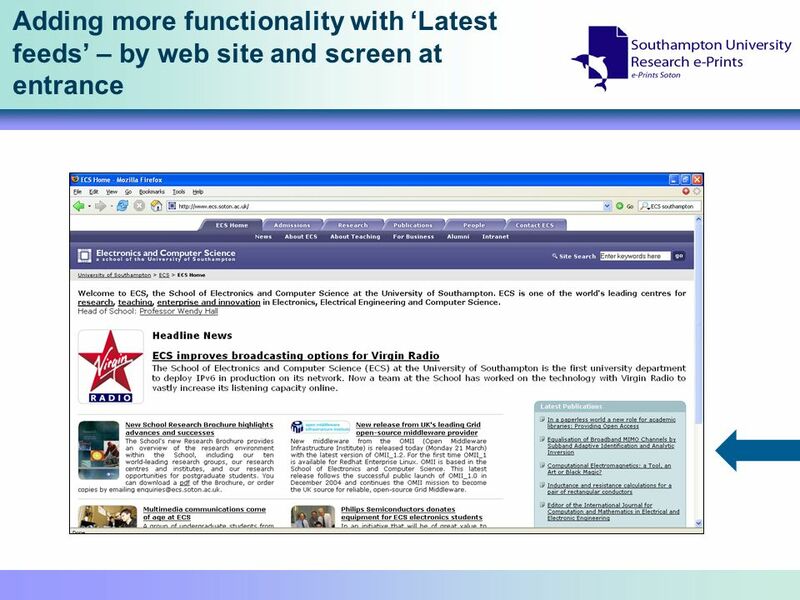 11 Southampton Press Release 15 Dec 2004 'We see our Institutional Repository as a key tool for the stewardship of the University's digital research assets,' said Professor Paul Curran, Deputy Vice-Chancellor of the University. 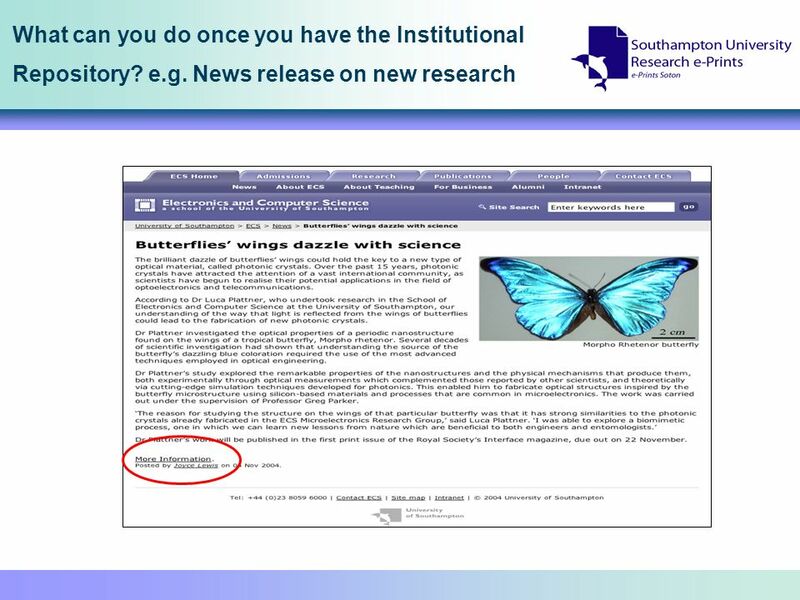 'It will provide greater access to our research, as well as offering a valuable mechanism for reporting and recording it. 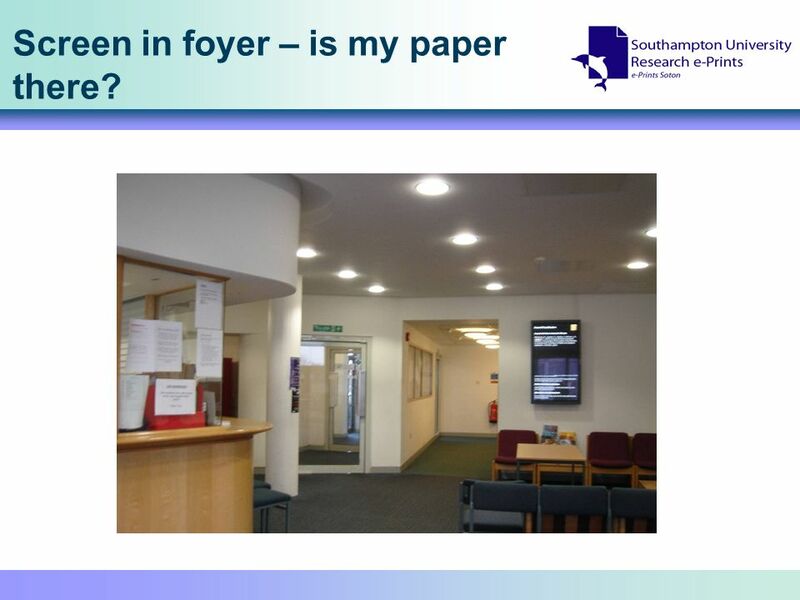 17 Screen in foyer – is my paper there? 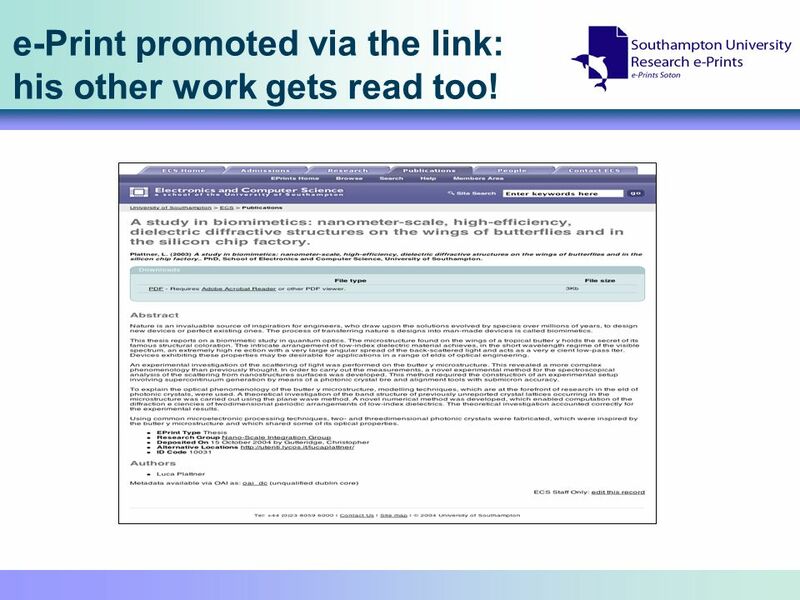 20 e-Print promoted via the link: his other work gets read too! 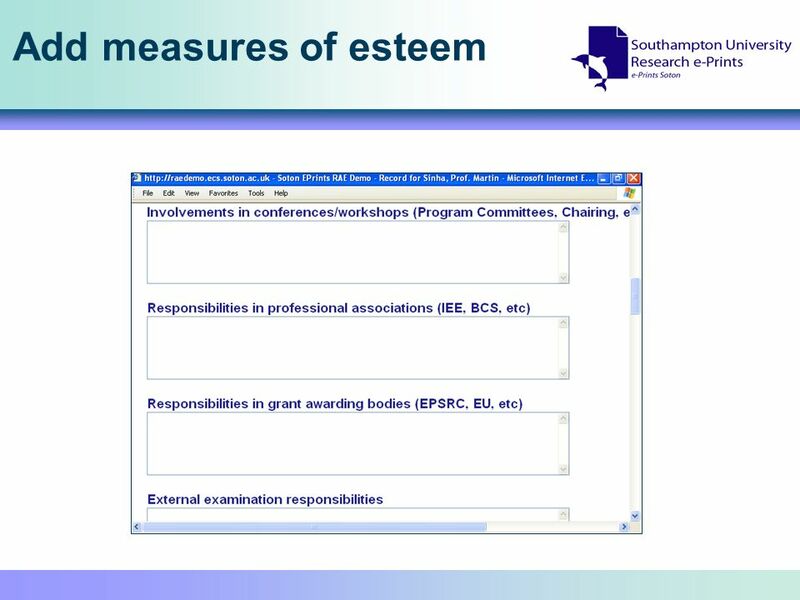 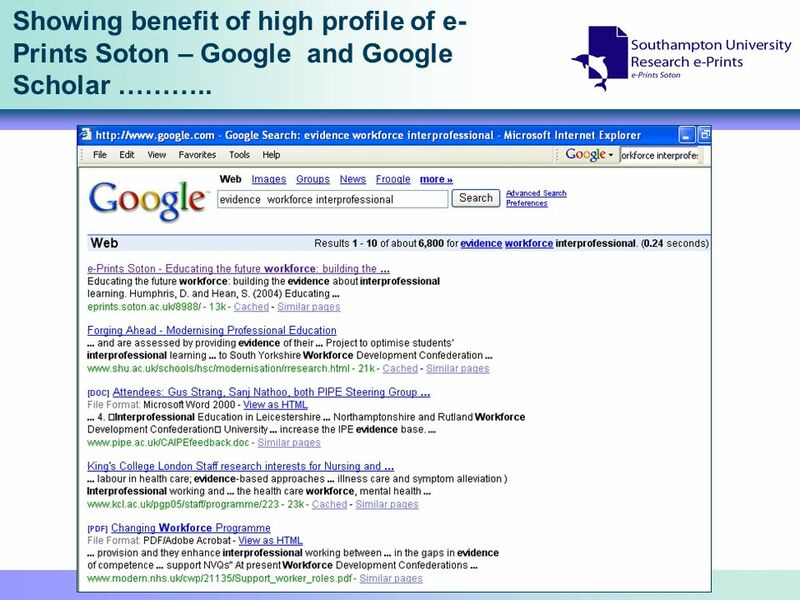 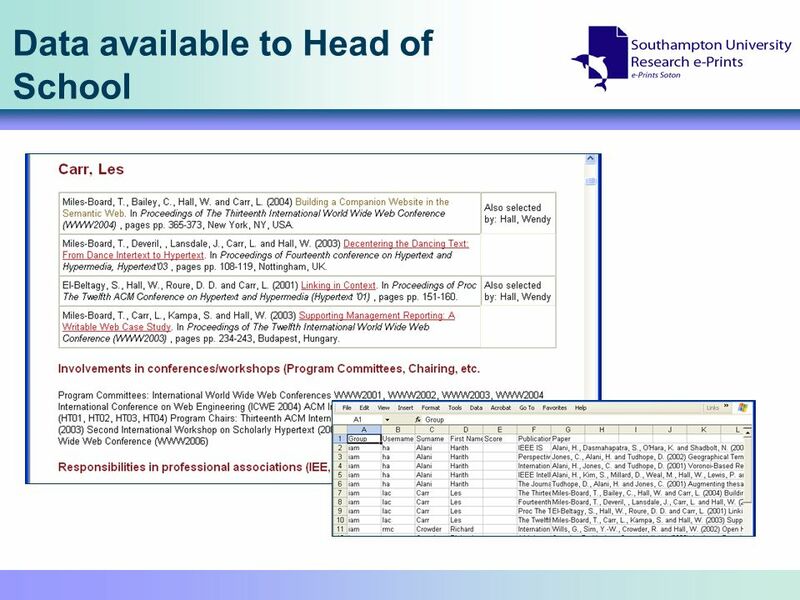 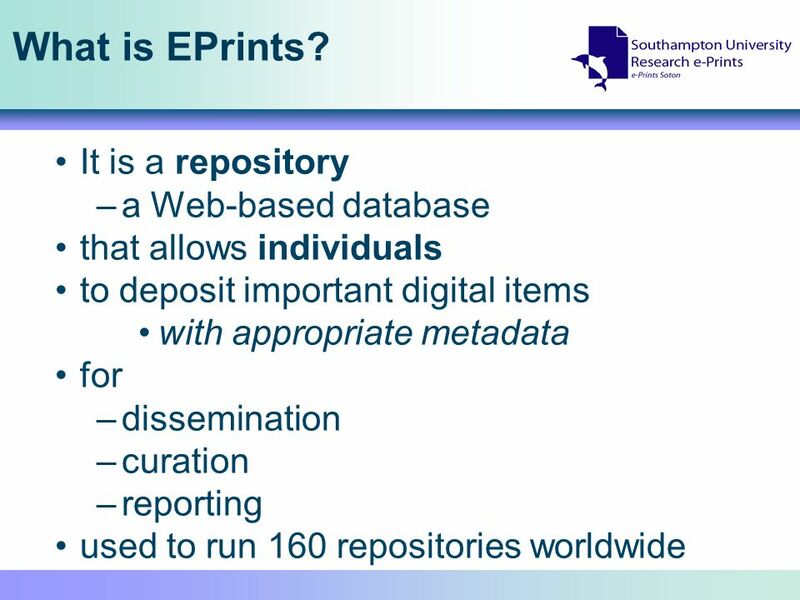 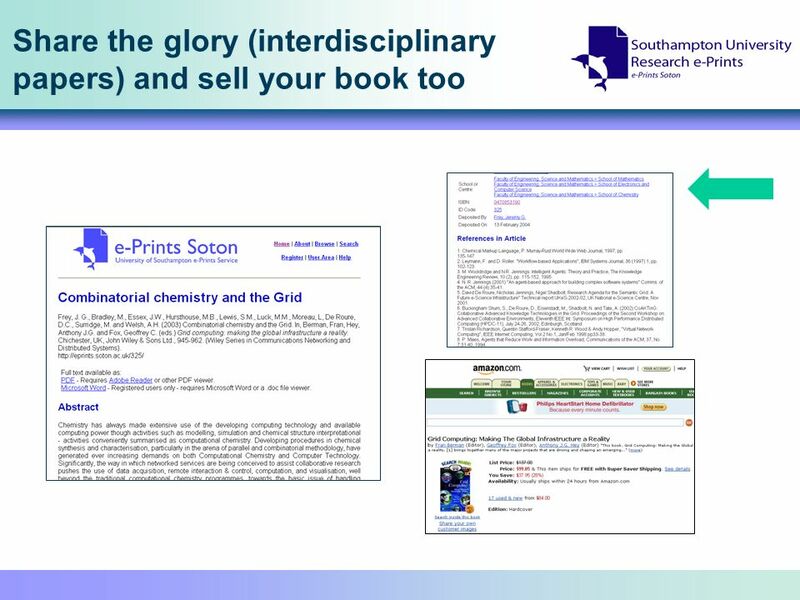 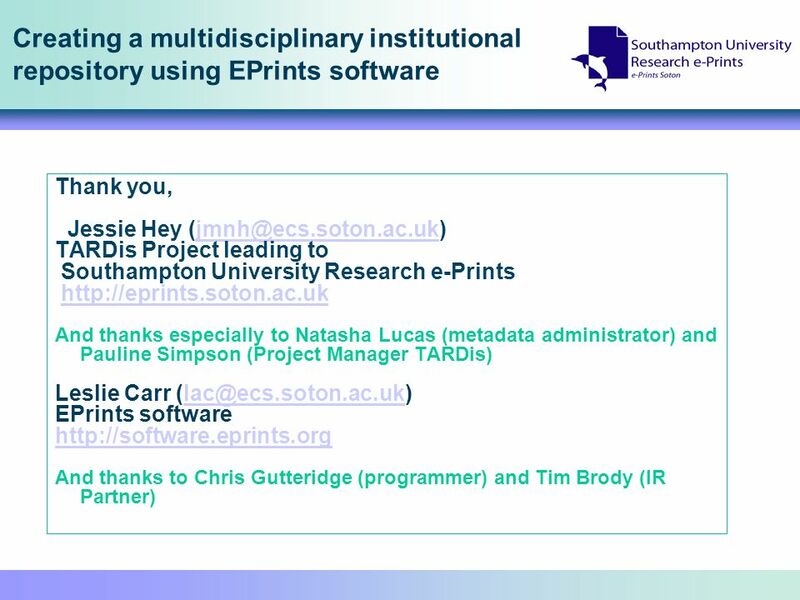 25 Showing benefit of high profile of e- Prints Soton – Google and Google Scholar ………..
Download ppt "Creating a Multidisciplinary Institutional Repository Using EPrints Software JISC Conference, Birmingham, UK 12 th April 2005"
University of Warwick 4 th March Developing. 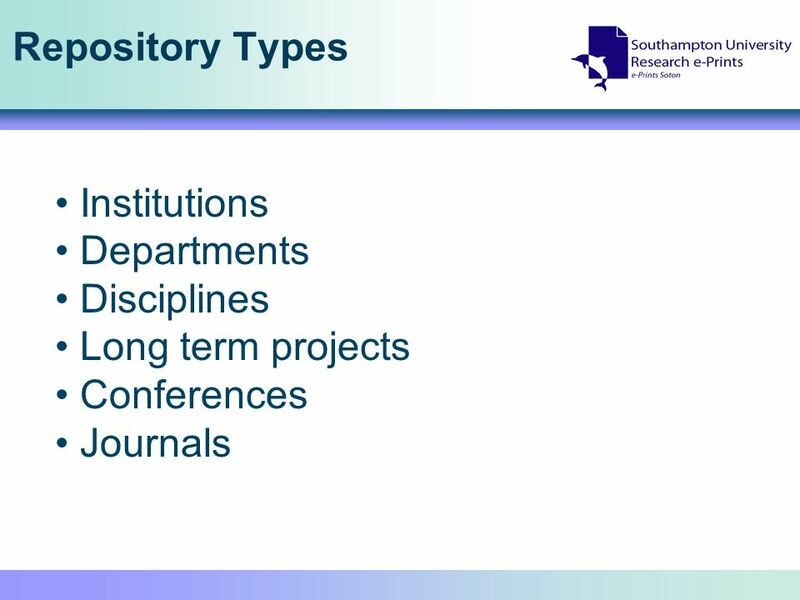 Repositories for research – contributing to the Knowledge Cycle Pauline Simpson National Oceanography Centre, Southampton JIBS Conference 15 Sep 2005 British. 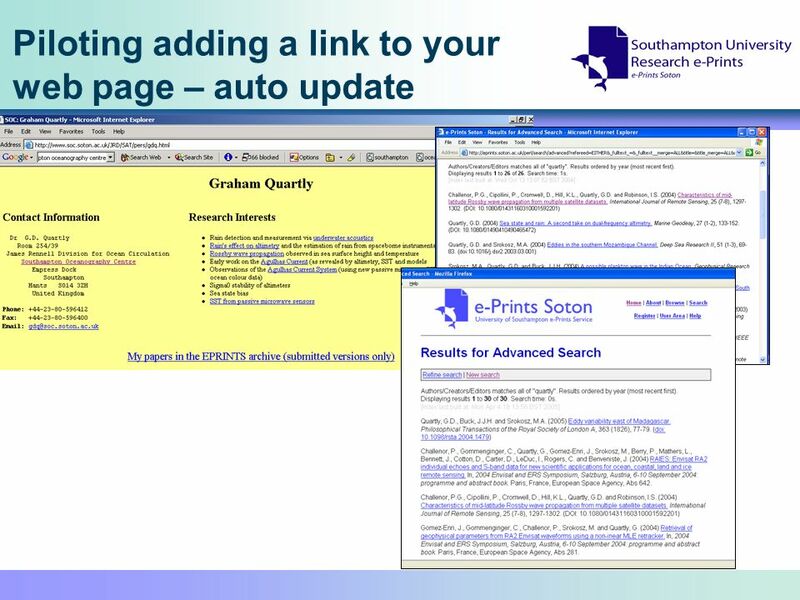 Southampton University Research e-Prints- a growing archive Health Care Innovation Unit 16 Dec 2004 Jessie Hey Southampton University. 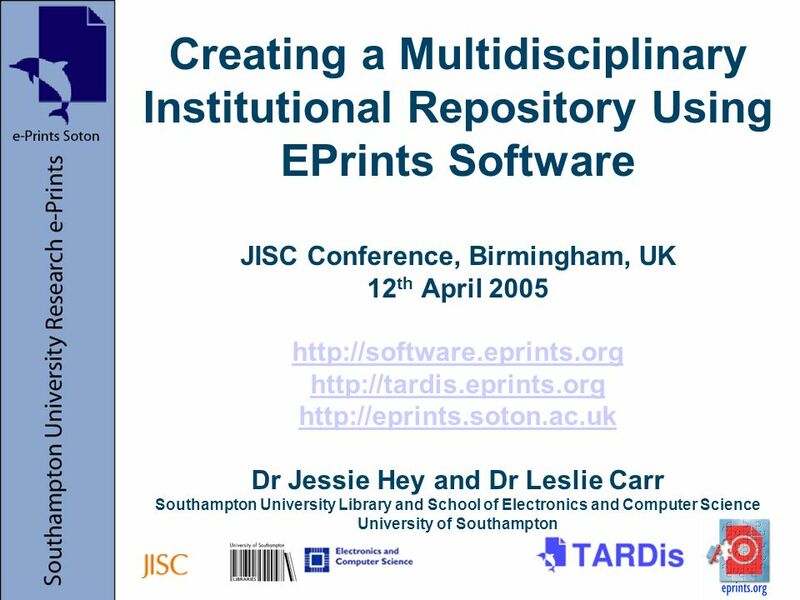 PRESERV Repositories and stakeholders Jessie Hey PRESERV Partners Meeting 18 Nov 2005. 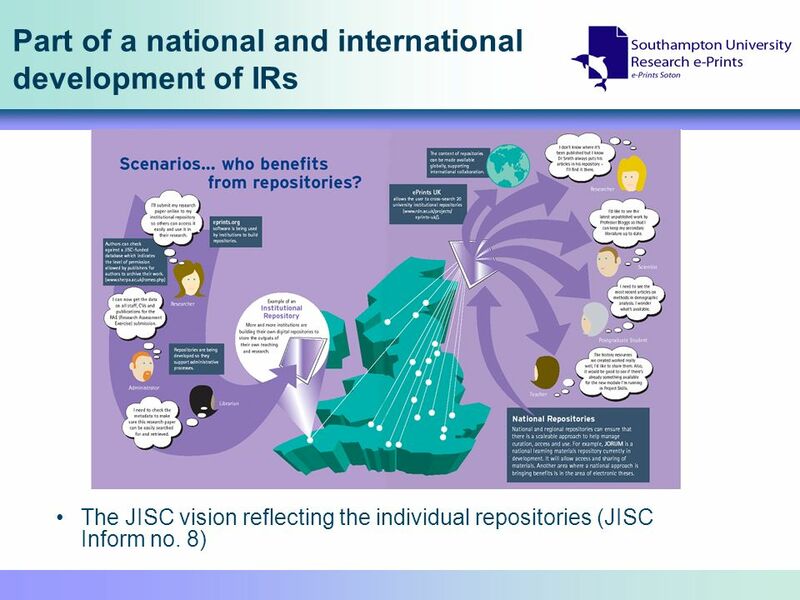 Widening Access to Institutional Assets: what are the practical implications? 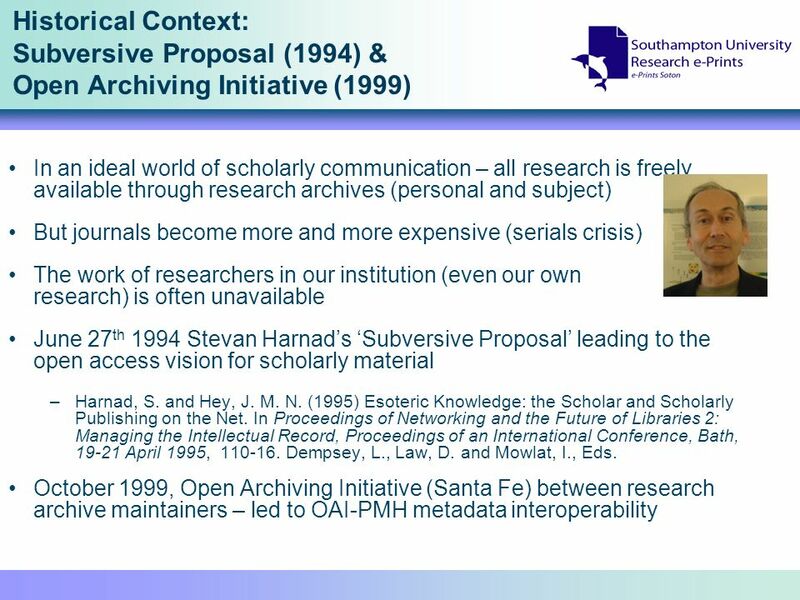 Implementing an institutional repository: management and organizational issues. 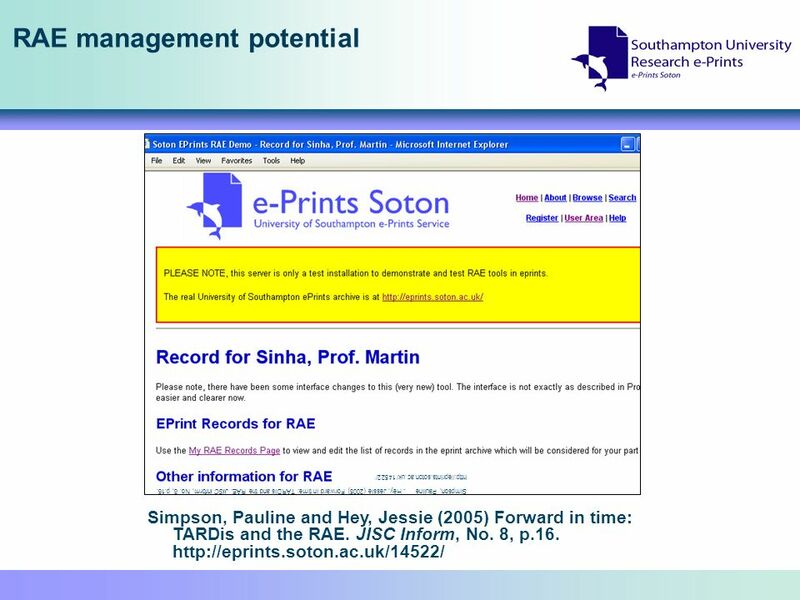 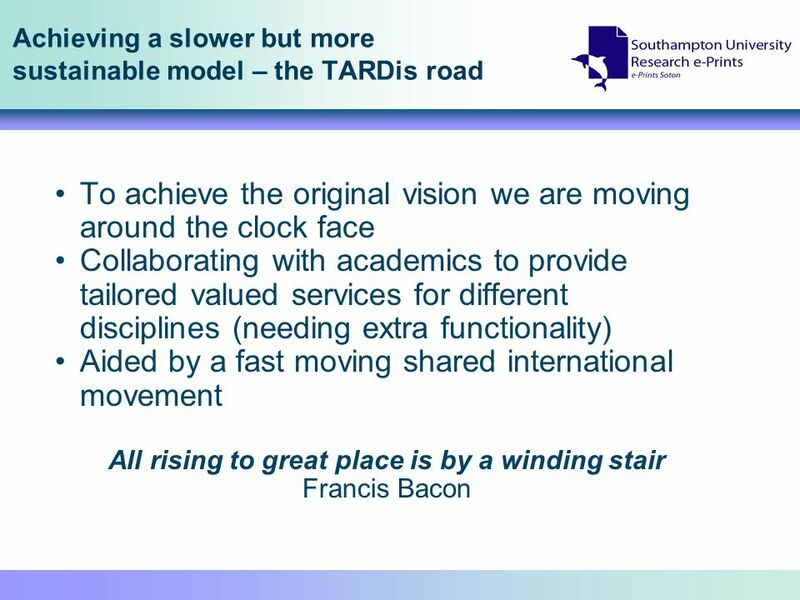 TARDis Targeting Academic Research for Deposit and Disclosure at the University of Southampton Pauline Simpson Project Manager TARDis Head of Information. 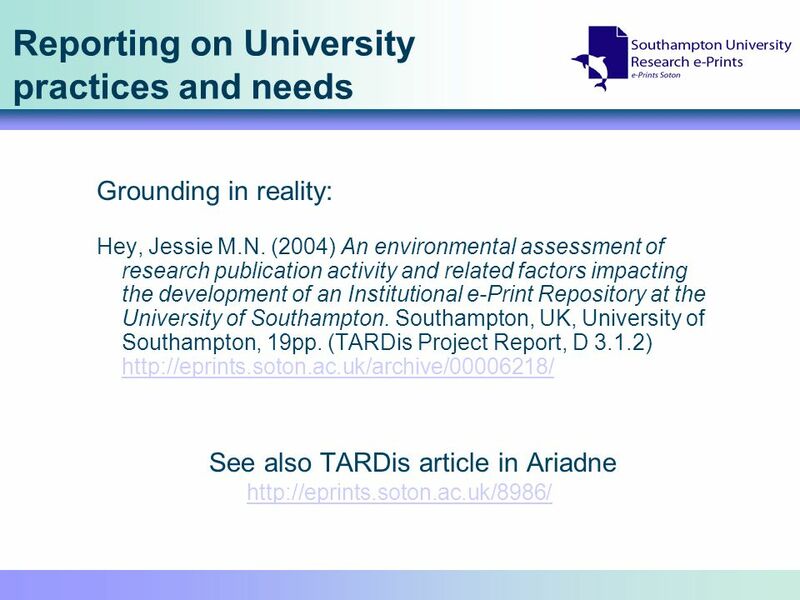 TARDis Update Jessie Hey eFAIR Cluster meeting Southampton Oceanography Centre 21/03/03. 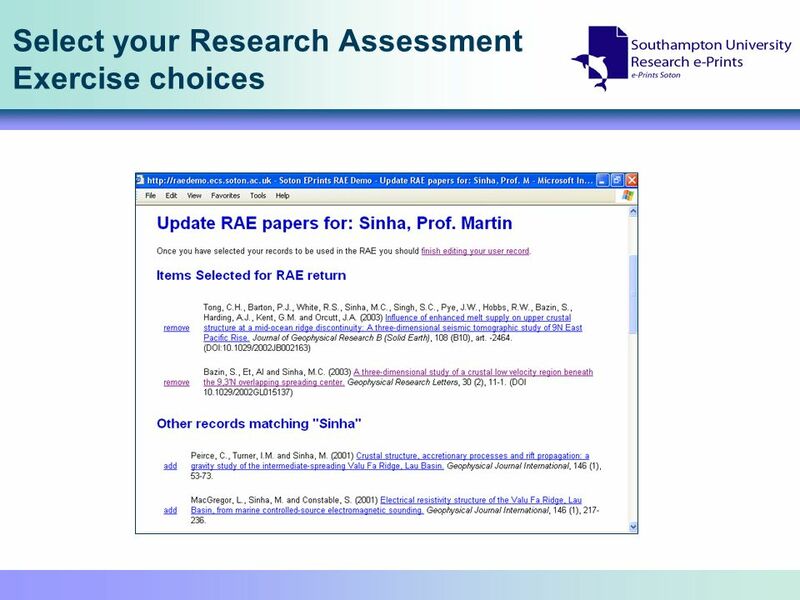 Embedding our Institutional Repository into the institutional research culture Institutional Repositories and Research Assessment (IRRA) British Computer.